What is Views from the Sofa? The Avengers was event cinema. It was a moment where Marvel caught lightning in a bottle, managing to execute a plan that was years in the making and combined big stars, a large story, a shared universe and culminated in one of the best movies – let alone greatest superhero movie – of all time. It was going to be an almost impossible task to try to recreate that again with the same success but recreate it they did – only that is the actual problem with The Avengers sequel. Any sequel needs to take what worked before and expand upon it. The Avengers has the benefit that other movie sequels doesn’t in that it has four or five movies in between that help to build towards the it. It can do all its story telling in the intervening movies and build to something big, always being the “event cinema” that it is supposed to be. Always being the drawing together of the strands that the other films placed before it. This movie doesn’t link as well with the others as you’d hope. Unfortunately, Age of Ultron doesn’t seem to do that at all. It doesn’t have that much in common with the previous movies. The gang is all back together from the opening moments and although the effects of the previous movies are felt, this film doesn’t feel a culmination of all that has gone before – it feels like another standard outing for the world’s mightiest heroes. This is none more apparent in the final hour of the film which feels like a rewrite and re-imagining of the final act of the first film. The whole gang, fighting against hoards of faceless, generic enemies who terrorise fleeing citizens. It is done very well but you can’t help feeling that you have already seen this before. It is the fact that it is done very well which saves Age of Ultron. The beats and acts are similar but their execution is slightly different. The ways in which the characters team-up, take-out enemies and use their environment and skills together is all realised in new, very cool ways. It will never get boring to watch Captain America throw up his shield and Thor slam it through a group of oncoming enemies. It is a perfect example of how well these characters have developed and how perfectly cast the actors who inhibit them are. It means that when we do return to The Avengers, it’s like visiting old friends. Downey Jr is still the comic relief and his relationship with Mark Ruffalo’s Bruce Banner is never better. Chris Evans is completely Captain America and when Chris Hemsworth delivers the awkward, old-time style of language that Thor speaks, it can’t help but bring a smile to your face. 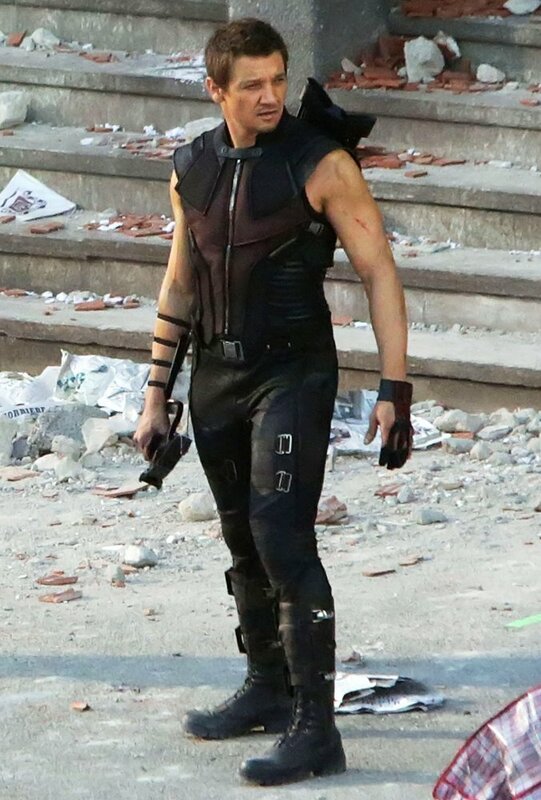 It is also great to see Jeremy Renner’s Hawkeye get a bigger and better storyline this time around. They address his lack of super-abilities very well and bring his character to the forefront much more than any other, a move that is both well-thought and brings something different to this movie. Of course, what should be the fresher angle is the introduction of two new heroes – Quicksilver and Scarlet Witch, played by Aaron Taylor-Johnson and Elizabeth Olson respectively. 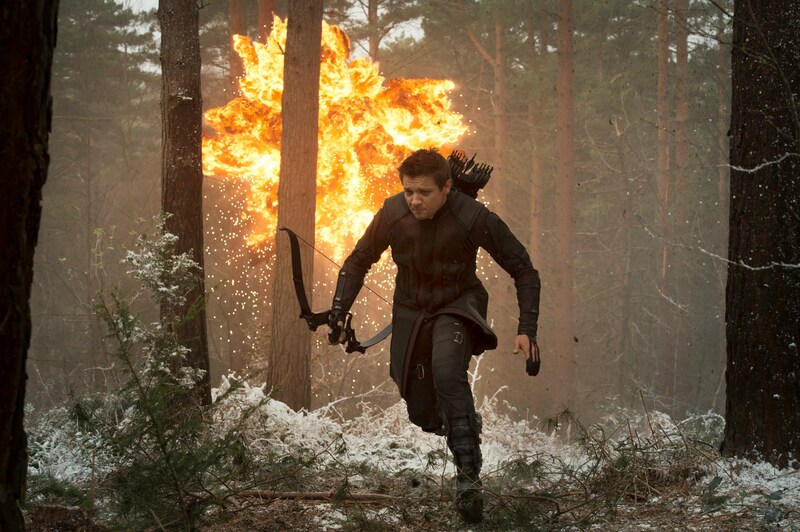 Unfortunately, their characters go the way of Renner’s in the first movie and are slightly sidelined, being under-developed considering the promise they bring. They have a good back story but are swallowed by the movies strongest element – Ultron himself. This is the success of Age of Ultron and the main reason the first two acts of the film work so well. Ultron is a different villain to Loki and is much more calculated, dark and ruthless – all traits brought to life by the excellently smooth voice of James Spader. Every word is said with menace and no syllables wasted as the interactions with each Avenger brings threat and danger. Ultron makes for a fascinating villain who lights up the screen in a way we haven’t managed to see since Heath Ledger’s Joker. A real success for a completely CGI character. It is just a shame that the first two acts, where the story is well-developed, the characters stretched and depth to the film is added, are undone by the final act which is generic and repetitive. The action is always flawless and exciting but there doesn’t seem to be anything original to what we are seeing. Overall, The Avengers: Age of Ultron loses some of the spark from the first movie. What should be an event movie, carefully but expertly tying together strands from across the Marvel Universe so far, is more like a stand-alone, standard sequel, revisiting a lot of the themes from the first Avengers movie. Great casting, a solid story and an excellent villain can’t hide a third act which feels very familiar and taints the work that has gone before. I wish I could look forward to it because I know it’s going to be an event, as you say. But it just doesn’t even interest me. Really? Didn’t you like the first? Nice review, pretty stunning movie with lots of intricate character work. I was hoping for more from Ultron but maybe that’s because Daredevil did such a good job with Wilson Fisk. Great review. I think the film was good but still quite disappointing. Not sure if it is in comparisons to their reason great films but it felt like a foot note rather than a solid film of its own. 2 hour trailer for phase 3 is a bit harsh but not wholly untrue. It felt like a movie they were forced to make rather than wanted to. It was standard and not special enough. Given the choice, I’m sure they would have skipped this and gone straight to Cap 3. And we might feel like they should skip that and go straight to Infinity wars. And want to skip part 1 and go straight to part 2. Can you enjoy a movie which has been spoiled? 100 Greatest Scenes Number 2: "Put the Bunny back in the box." When is it inappropriate to make a "true story" movie? 100 Greatest Scenes Number 1: "Mrs Robinson, you're trying to seduce me." Follow Views from the Sofa on Twitter!